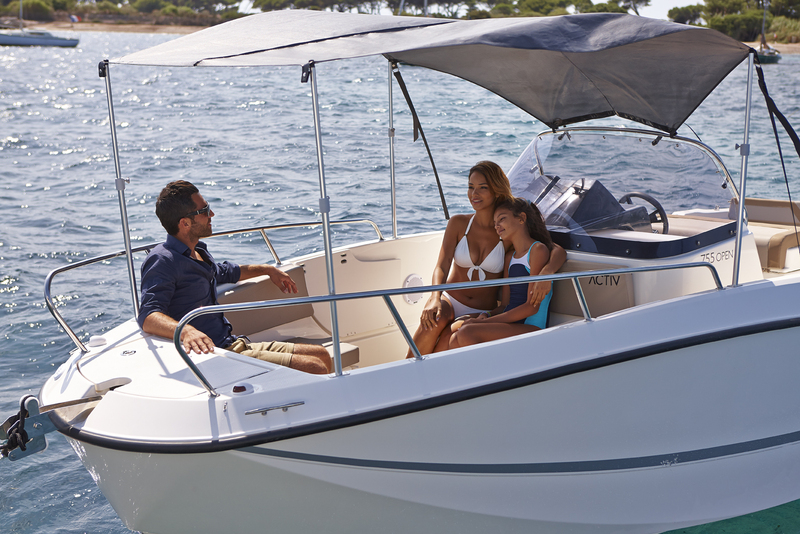 Safety and performance go hand in hand when it comes to Quicksilver’s new Activ 755 Open – from the robust hull to the deep, secure cockpit and transom access area with twin swim platforms, this craft is the last word in safe and secure performance on the water. 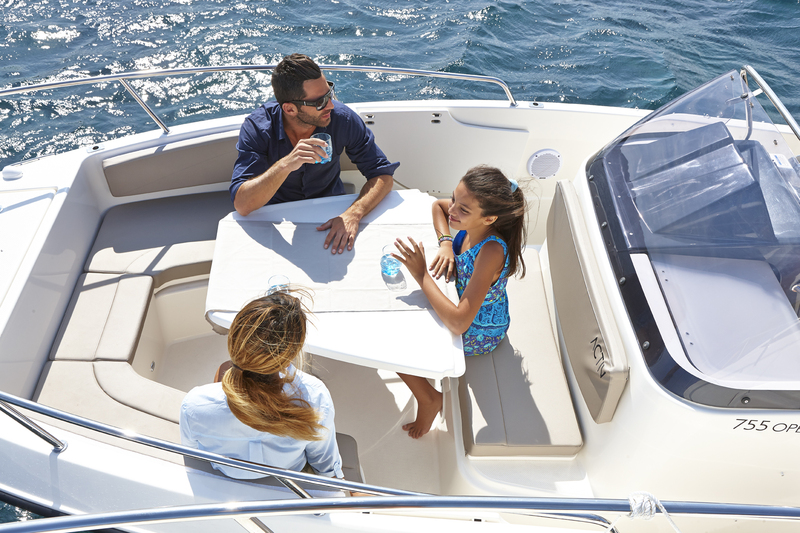 Fluid, sleek and stylish are the watchwords when it comes to the new Activ 755 Open’s exterior design, while the intelligent design features onboard, both inside and out, make this stylish craft an experience not to be missed. 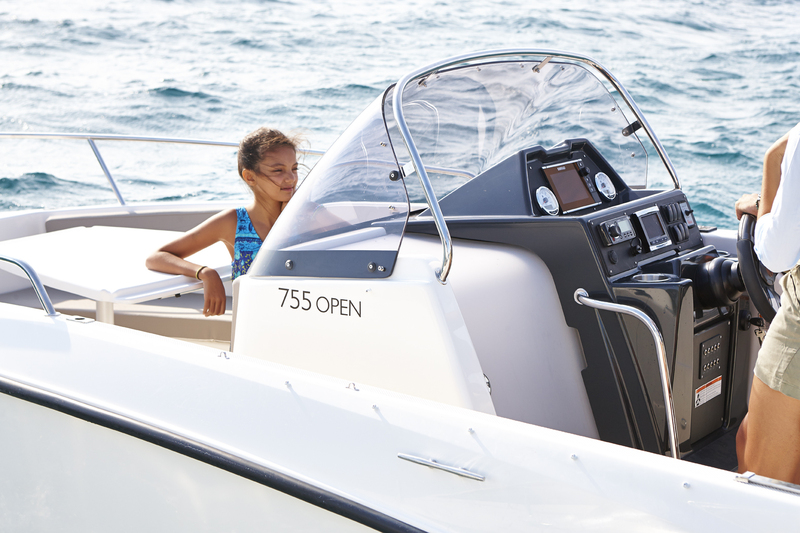 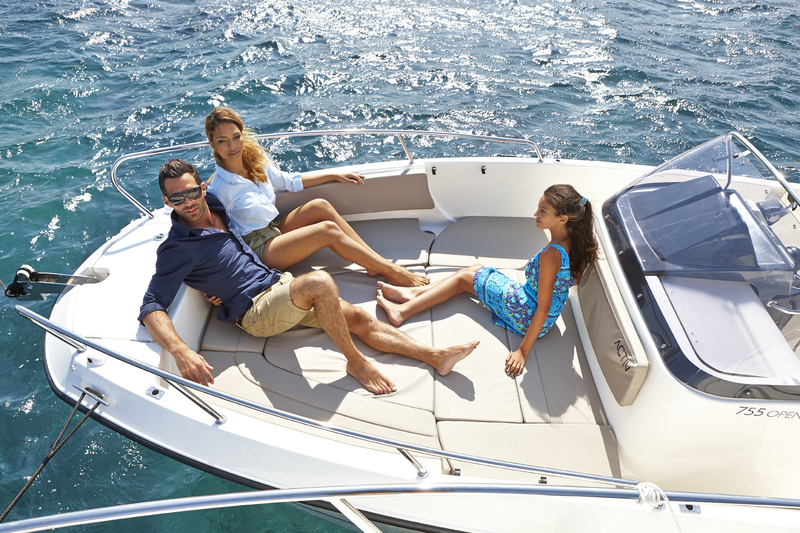 From the sporty dash, to the multiple seating configurations in both the cockpit and bow area, the Active 755 Open uses intelligent design to offer a maximum of possibilities. 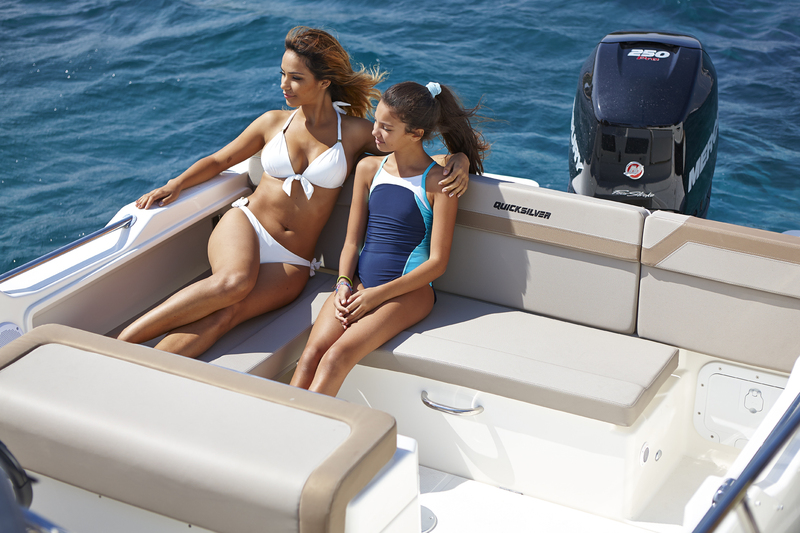 On deck, both the bow and cockpit offer multi-configuration options for seating, dining, lounging or water sports. 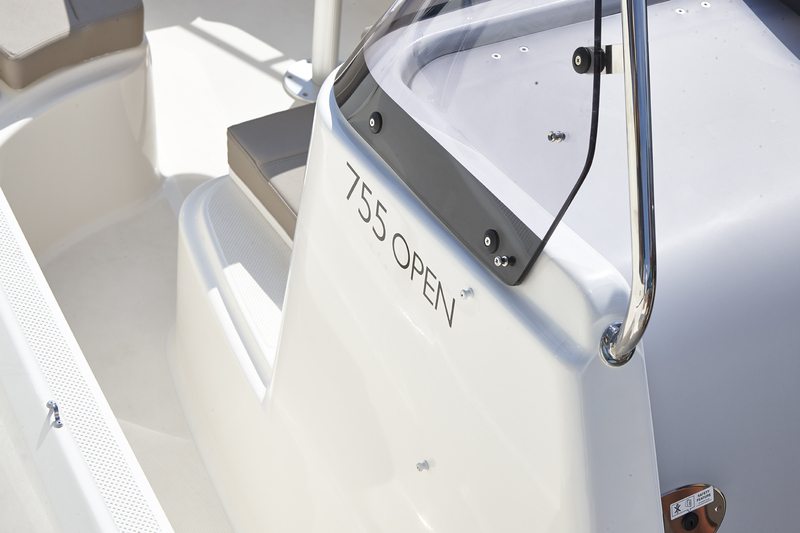 The cabin gets plenty of natural light coming from portlights and cabin door, as well as excellent ventilation. 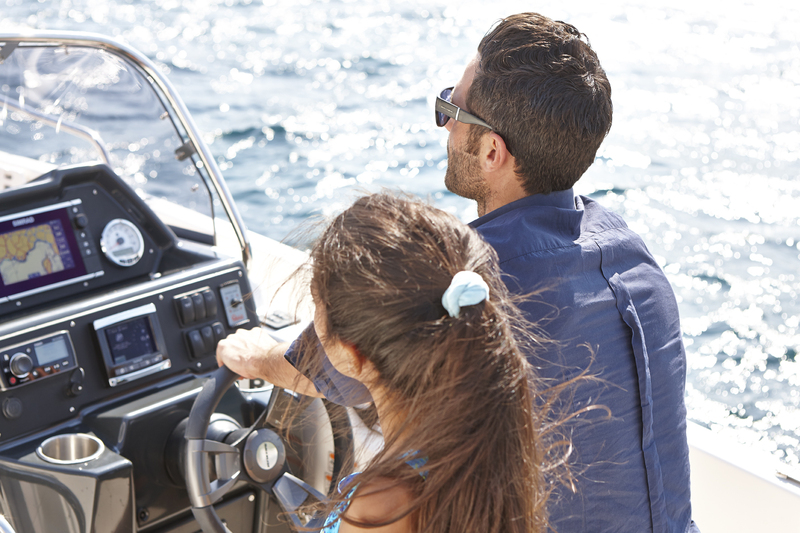 The optional marine toilet slides under the cockpit when not in use, leaving space for an optional filler that extends to a sleeping area or children’s play area. 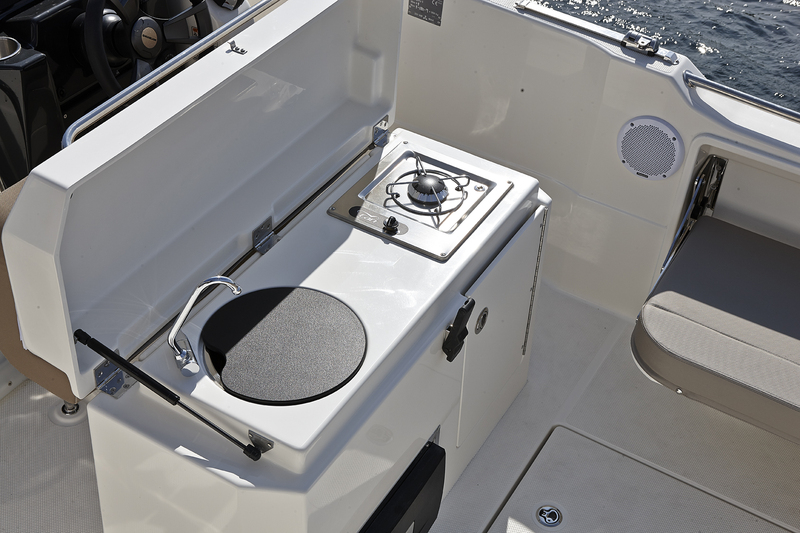 And to top it all, an optional cockpit galley comes complete with sink, running water and a single burner stove for maximum comfort.